So yesterday The Legal Genealogist did it again. Gave people a taste for a neat new record group… and didn’t provide all the available information about accessing it. Part of Record Group 36, the Records of the Bureau of Customs at the National Archives and Records Administration, these documents exist from a number of early port cities, among them Bath, Maine; Boston, Massachusetts; New Bedford, Massachusetts; New Orleans, Louisiana; New York City; Philadelphia, Pennsylvania; and Portsmouth, New Hampshire. The question is: how do you get into these records if they’re not indexed? The answer is: many of them are indexed. But you may have to hunt to find the index you need. Second, the records from Bath and Portsmouth plus those from New Orleans and Philadelphia are indexed on Ancestry.4 That database also includes the quarterly abstracts from New York City. And, if all else fails, there’s always the 153 linear feet of three-by-five cards in the index at the National Archives at Washington, D.C. 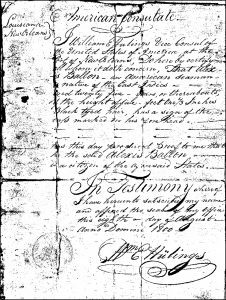 In short, there are ways to find out if your seagoing ancestor had one of these certificates. Sometimes even in bunny slippers at 3 a.m. This was interesting to me because I remember reading about them in a novel. It MAY have been in the Ramage series by Dudley Pope, a British Naval Historian. It was a part of the plot that one of the sailors (American) had an extra “protection” that he gave to his captain during a rather daring escapade. 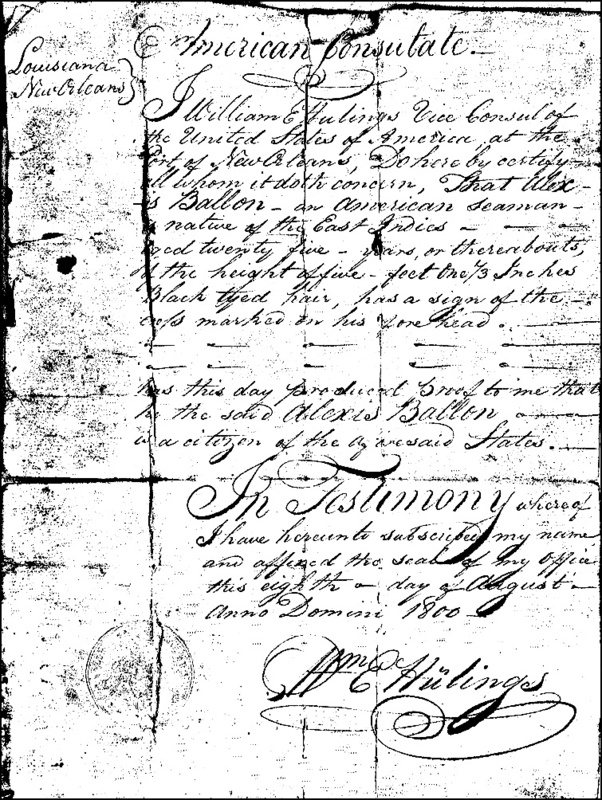 The certificates are very important in African American research long after the War of 1812. Curiously, they are used to study the history of tattoos. I found a possible ancestor on the New York list. How do I find all the information about this person? As the blog post says, these records are in Record Group 36, the Records of the Bureau of Customs at the National Archives and Records Administration, Archives I, in Washington, D.C. You can contact the archivists by email ([email protected]) to ask for the form to order the record or hire a researcher to follow up for you.